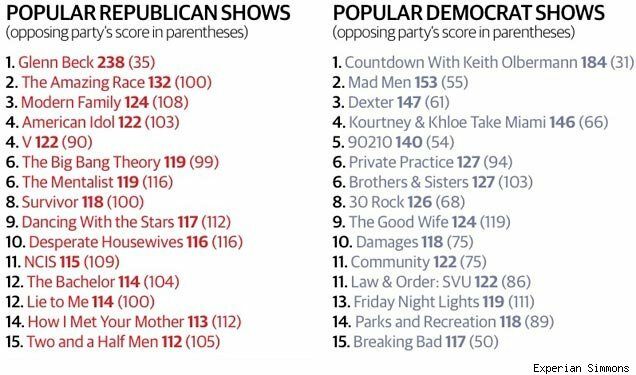 I saw a study was released last month about the TV shows that Democrats and Republicans find most popular. So I took a look at the top 15 shows on both sides and checked what I watch on the list. I also stopped watching How I Met Your Mother (#14, Republican) and am on the verge of dumping Community (#11, Democrat). Do the shows you watch match your political leanings? This is the last season for Steve Carell on The Office, so it stands to reason that his character Michael Scott will be leaving. I think they should do nothing and just end the season normally. Then to start next season, have Michael Scott gone. Have the characters refer to some type of incident that got him fired. And given everything he has done over 7 seasons, it would have to be pretty bad. They can occasionally reference it and maybe if they can get him to come back, they can reveal what it was that finally went too far. I’d like this a lot better than some type of send off or goodbye Michael episode that is supposed to be both sad and funny. Anyone else have any thoughts or predictions on how this season ends? I saw a post on my favorite football site about the NFL’s ratings this year. It had me thinking about ratings in general. While it is something to be commended, I don’t find it surprising because viewership numbers have been dropping for years. Top TV shows 3 or 4 years ago were getting close to 20M viewers and 6 or 7 years ago 25M viewers. The shift can be attributed to many things like more choices (cable), DVRs, DVDs and online viewing. It’s probably a little of everything, but the one thing that pretty much has no alternative is sports. As a bonus, since they are live events, people who want to watch them will always prefer live to tape delay/time shifting. Which means more eyeballs on commercials. So at least to me, this comes as no surprise that the NFL can be king without cracking 20M viewers. I think this trend will continue for live programming over normal prime time programming. One of my favorite shows now is Fringe. Since it was created by J.J. Abrams, it reminds me of Alias in one way: the star: In this case, it’s Anna Torv instead of Jennifer Garner, but I think she will have a similar fate. I say that because Anna seems to be way too talented to be on TV. She started out playing Olivia Dunham, a FBI agent working in the Fringe division. Now she has played 4 different characters. They are all Olivia Dunham, but people who watch the show know otherwise. This is where it gets a little confusing. Anna is able to play all these slight variations on one character in a way that sets them all apart. As a viewer, there is no confusion which one she is playing. As a non-actor, it seems like something only those who are very talented at acting can pull off. So I think in a couple years, either the show will be cancelled because of ratings or she decides it is time to move on to the silver screen. This season of Fringe has been interesting. They have been alternating episodes between the two universes. It looks like the storyline this season is the two Olivia’s and what the so called “doomsday machine” is and how Peter fits into it. I’ve been noticing this a lot more often lately for some reason. I don’t know if the phrase has become more popular/common or it has just started to bother me a little. If it is becoming more common/popular, does that mean we’re becoming increasingly apathetic? Now that I’m noticing this, I’m going to try to use it a lot less. In any case, the reason I’m writing this is it seems like I’m seeing people use this more in TV and Movies, but use it wrong. They often say “I Could Care Less” when they really mean “I Couldn’t Care Less”. It had me wondering if the writers wrote it incorrectly, if the actors just said it incorrectly or if the director didn’t notice. Maybe all of the above. With that in mind, I made a care chart for everyone that shows why “I Couldn’t Care Less” is correct. It seems like my todo list is endless now. I’ve been working long hours on a project with a tight time schedule. It’s a good project, but it does take a lot out of you to work so many hours a week. It makes me think about people who work two jobs to support their family. To do that week in and week out (and I’m sure at least one of those jobs is one they don’t particularly like) just shows their commitment to their family. It’s mentally and physically taxing. I’m fortunate to have a job that’s pretty much 40 hours a week the majority of the time. I have yet to fully catch up after my vacation last month. My MacBook was buried under 3 weeks of mail and bills. I finally got through all that so my desk is actually clean. I hate when my desk is covered with stuff that needs to be taken care of or put away. I still need to go through all the pictures from my vacation and put some of those online. My DVR still has shows on it from when I was on vacation. Between work and physical therapy, I’m recording more shows than I can watch. The positive out of it is I’m dumping marginal shows this fall. Hopefully between the canceled/ending shows last season, shows I dump this fall and the new shows this fall, I end up with less to watch. I have managed to watch sports live at least. West Virginia is 3-0. They had an incredible comeback against Marshall (avoiding their first loss to them) last week. I thought they were done when they went down 14-3. I suppose I had some hope of a comeback because I did record the rest of the game and checked in between shows. I was able to tune back in on their TD drive to make it 21-13 and watch the rest of the game to see them pull off the win. I got to miss the suckitude in the middle. Yesterday, they looked better to start the game. Looking similar to the Patriots against Cincinnati to really jump on Maryland in the first half. Then Maryland was making a game of it before WVU had a 9-minute drive to put the game out of reach. It’s nice to see a QB who can pass the ball. It’s been a long time (since Marc Bulger I believe) since we had a guy who can throw the ball accurately and stand in the pocket. Needless to say, I was surprised by how the Patriots played on defense last week. It was just one game, but they had a great game plan and the young guys executed it about as well as anyone could expect. It certainly adds a new level of anticipation and excitement about the 2010 team’s potential. Hopefully it’s not just a tease. A good test this week against a team with a very good, attacking defense. This will be a real test for the offensive line. If the game was in New England, I’d feel real confident the Patriots will win. I guess I’m still skeptical that the defense is as good as they were last week. I don’t think New England will try that whole whiteboard nonsense again this year. They will have Welker (he had a huge game in the only one he played vs. the Jets last year) and possibly Edelman who is a lot better than he was in week 2 last year. It’s going to be another test, but I think New England will win a close game because the Jets defense is better than Cincinnati’s. I’ve detailed in the past the troubles I’ve had to go through to get the same deals other DirecTV customers get. This year was a totally different experience. I had read that DirecTV was changing the NFL Sunday Ticket package to remove SuperFan and make it one package. Ultimately, they split the package up. They removed the online viewing part of SuperFan and called that “To Go” and put all of the rest (Red Zone Channel (not the same as the NFL Red Zone Channel that has commercials), Game Mix, Shortcuts and HD) into the base package. The new price is $300 for renewals. That price was a lot easier to pay. A little higher than I’d like (I’d prefer $250) but I wouldn’t cancel over it (I was ready to at the almost $400 I expected this year). The price got even better thanks to the great community over at DBSTalk.com. They had a thread talking about a $20/off for 6 months discount for existing customers. I called to check on what was auto-renewing on my account and after the CSR explained that to me, I dropped the “To Go” part and asked if I could get the credit. They checked, said yes and that was it. They had also started a program to match DISH offering Free HD for life. I’ve pretty much had a credit to offset the $10 HD Access fee since I got HD a few years ago. I asked about that and was told I couldn’t get that with the current credit going and that they couldn’t drop that and add the other one in its place. I was told I could see about it once the credit ran out, but no guarantees. There was also a thread about the Free HD for Life for existing customers (it’s really for 24/months right now). I got my notification that my bill was ready and when I looked at it, I saw that the HD Access credit was no longer there. I called in and inquired about that credit, the CSR checked that I had HD and was on auto-pay and said no problem and added it. Explained the most they can do for existing customers is 24 months but to call back when that runs out and they’ll add it back on again. It has been a completely different experience and I don’t know why but it’s very much appreciated. That kind of service goes a long way IMO. A couple months ago I was doing the math on building a home theater PC, switching to very basic cable, getting a good OTA antenna, switching from DSL to cable HSI and switching to Vonage World. Now, I will scratch off the HTPC, getting cable and a what not. I am still considering a switch from AT&T to Cox for Internet and Vonage for phone service though.